Ms. Falahati specializes in real estate law representing individuals and business entities, emphasizing both in transaction and litigation. She has broad experience advising individuals and business entities on formal litigation matters as well as effectively and efficiently negotiating settlements and dismissals. She practices a commonsense approach to litigation, and believes in high-quality, cost-effective, and successful representation. Ms. Falahati is personally active in every aspect of her clients’ cases, and her clients are her priority. Ms. Falahati’s clients include real estate professionals, landlords, tenants, title insurers, escrow holders, institutional lenders as well as other business entities and individuals. 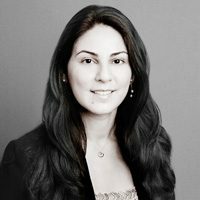 Over the course of her legal career, Ms. Falahati has represented both individual and institutional clients in matters involving real estate, complex toxic tort liability, premises liability, construction defect, insurance defense, and general personal injury. Ms. Falahati earned her law degree from the University of San Francisco, School of Law, and her B.A. in Philosophy from Saint Mary’s College of California. Ms. Falahati is licensed to practice law in the State of California and is admitted to the Northern District of California and the Eastern District of California. She is also member of the Contra Costa County Bar Association, and maintains an active California Real Estate Broker’s License since 2005. Ms. Falahati is Of Counsel to Richardson Law Firm, Morrill Law Firm, and Watson, Hoffe & Hass. Ms. Falahati was selected as a Rising Star in 2015 by Super Lawyers.